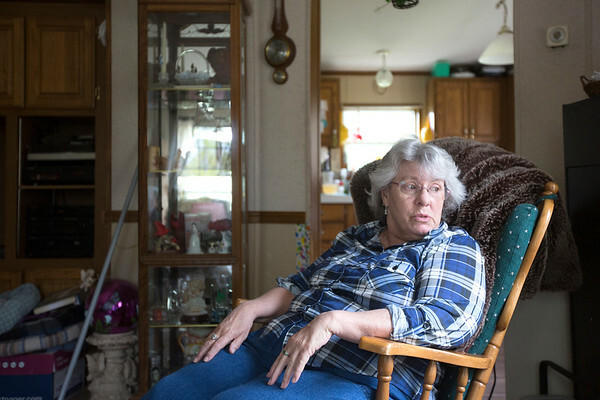 Kathy Maddasion sits in a rocking chair at her home in Traverse City on Saturday. Maddasion is charged with two counts of improper possession of a weapon in a motor vehicle in 86th District Court. After being pulled over for speeding, the officer noticed the guns in the back seat of the truck. The guns belong to her son and she didn't know they were in the car.